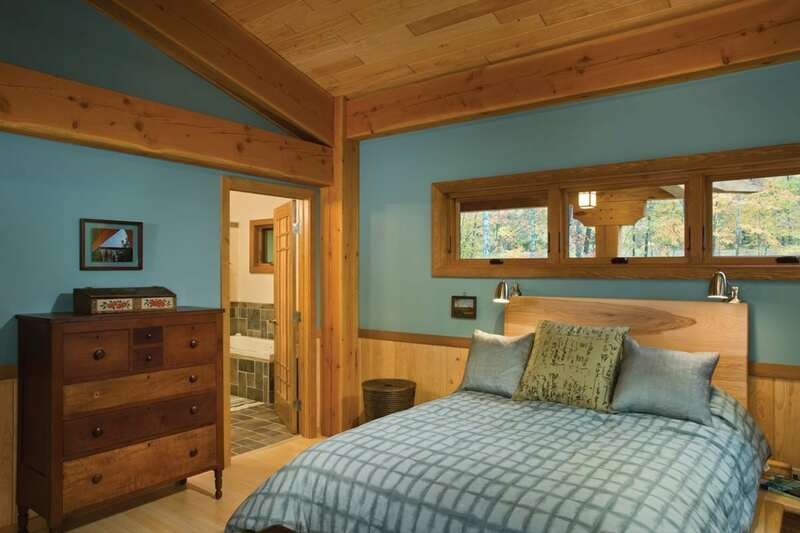 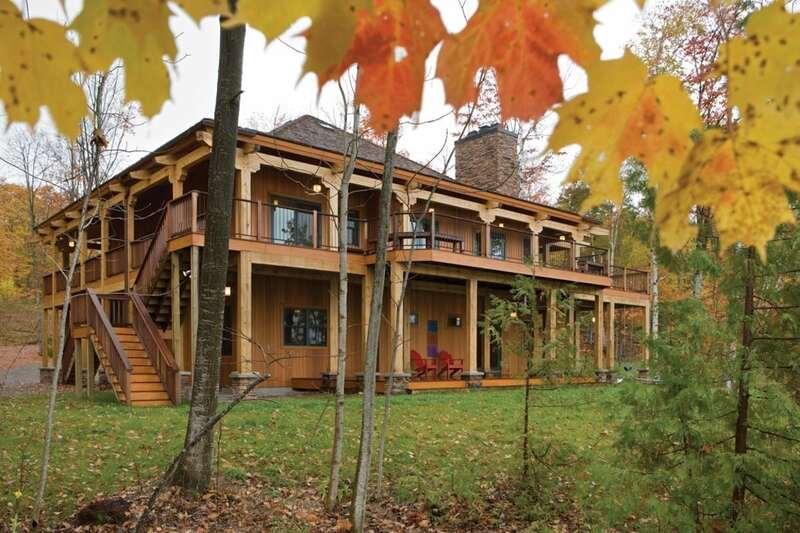 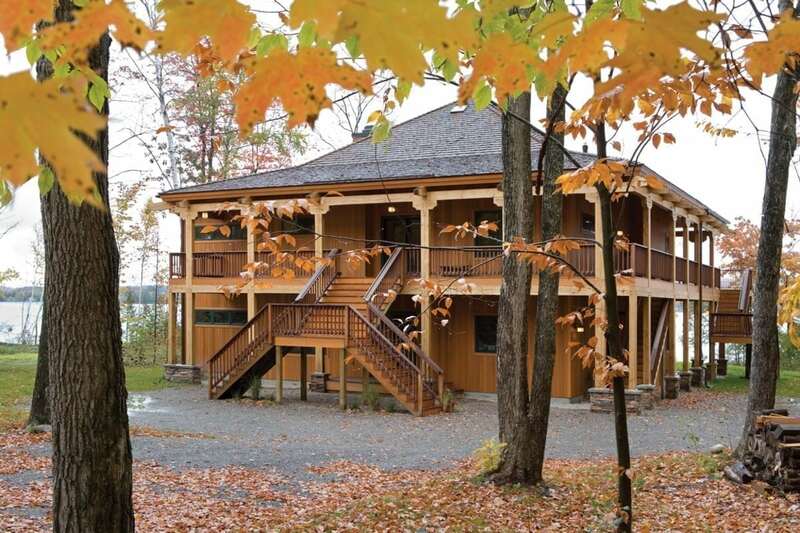 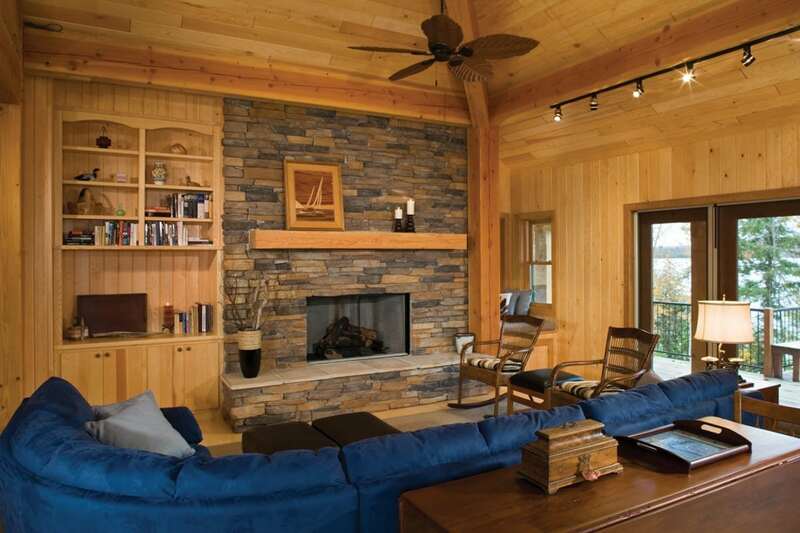 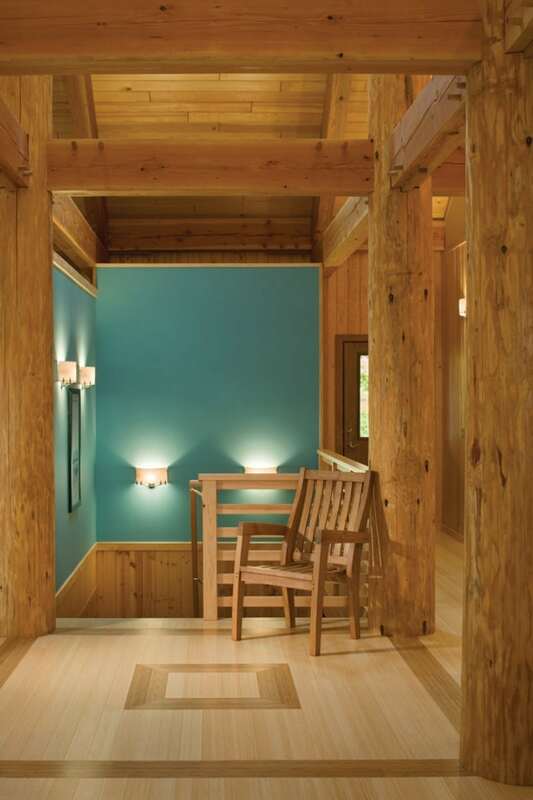 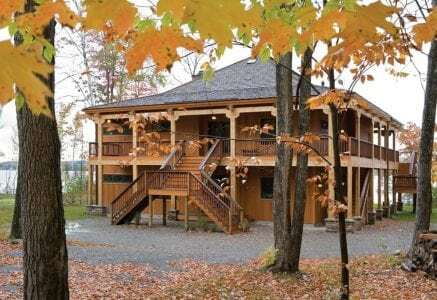 Just off the shore of Petoskey’s Lake Wallon sits a distinct Japanese-style timber frame home. 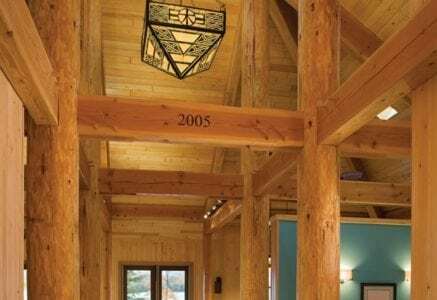 Timber post-and-beam construction was particularly appealing to the homeowners who fell in love with the square layout prevalent in Japanese homes. 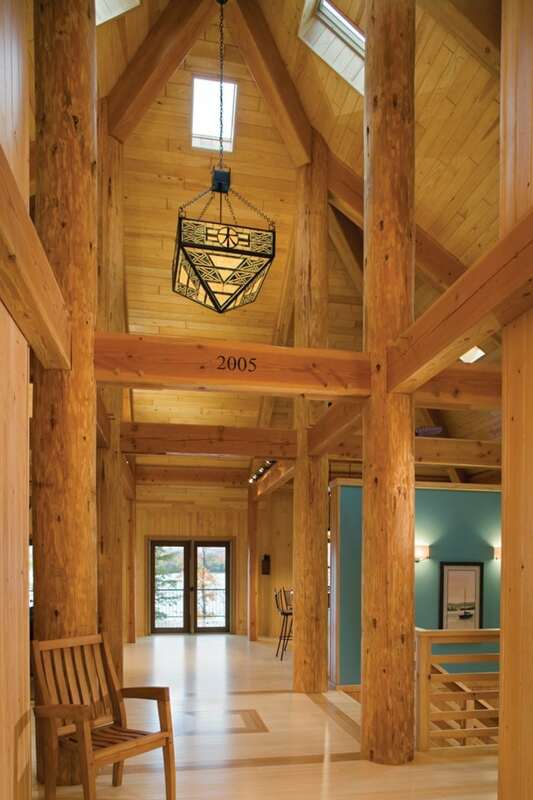 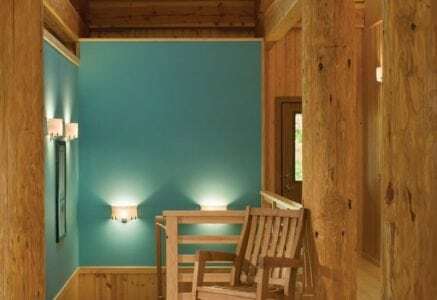 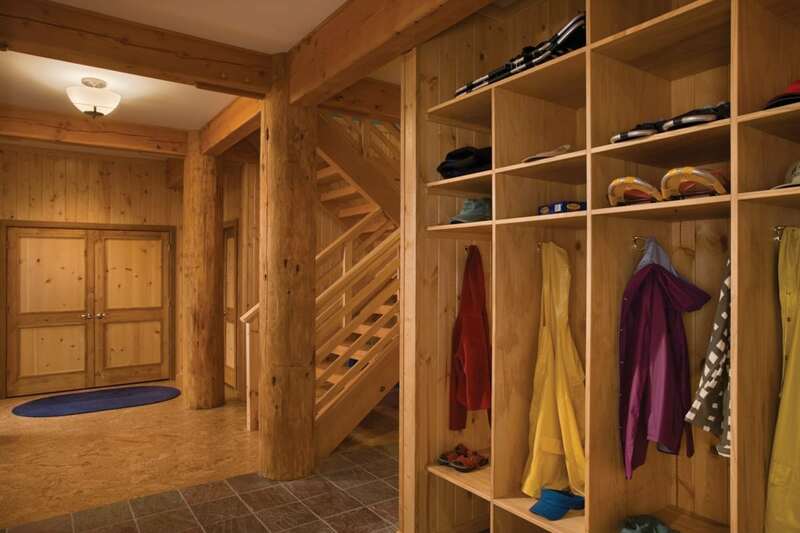 As you enter the home, your eyes are directed to its center, where four, 38-foot-tall log posts stretch from the bottom floor, through the main level, and up to the roof. 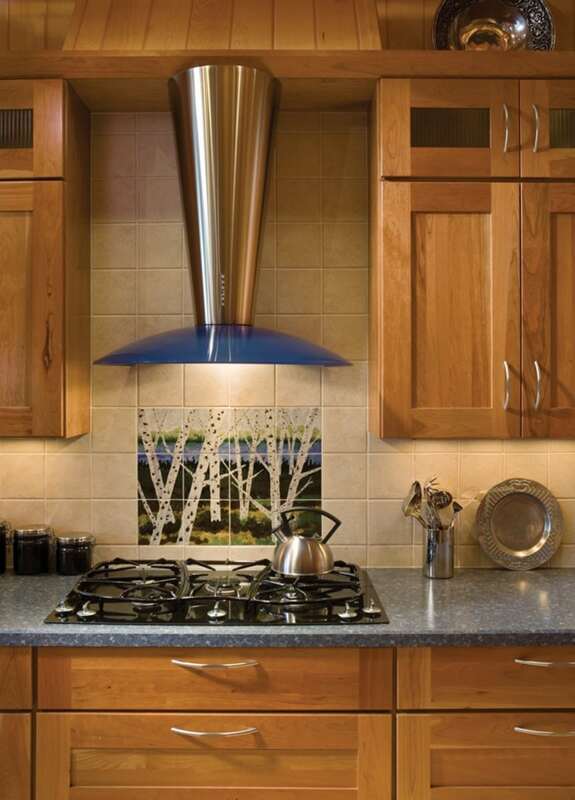 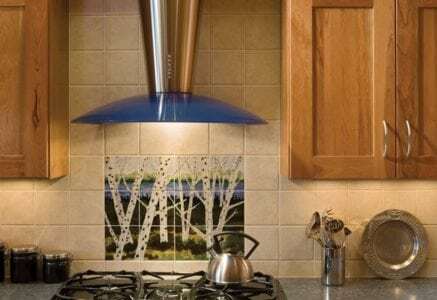 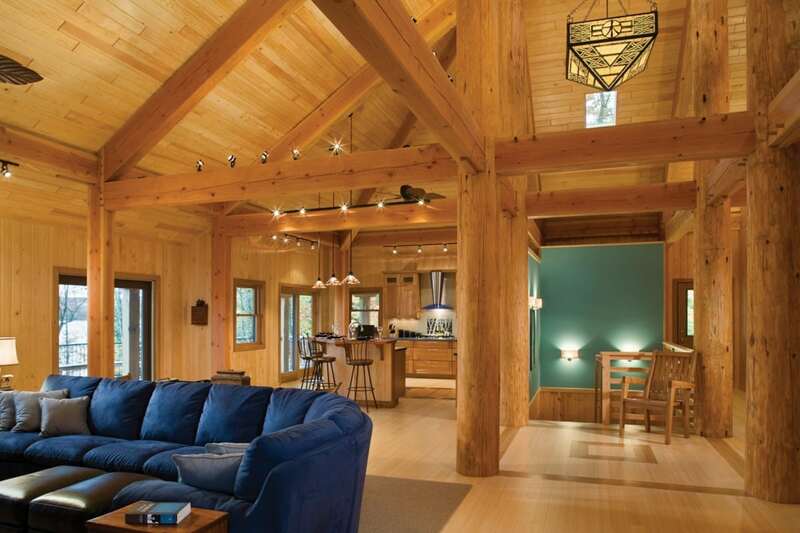 The massive round posts are a hub for the interior timber frame structure. 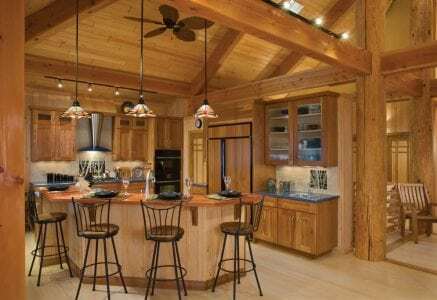 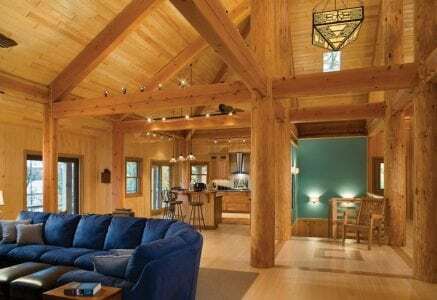 Following the roof lines and spanning across each designated space are the beams that connect to the posts by traditional mortise and tenon connections.